The history of the Great Highland bagpipes in Nova Scotia began in the 1750s. Scottish and Highland piping traditions continued in Nova Scotia for over 250 years, through periods of immigration, community building, Confederation, economic out-migration, and two world wars. In Gaelic communities of the mainland and Cape Breton, throughout the 19th century bagpipe music was interwoven with fiddle music, Gaelic singing, and traditional and evolving dance traditions. A unique form of dance music emerged and flourished in the late 19th and early 20th centuries, characterized by lively jigs and rousing strathspeys, reels, and quicksteps. Many of these tunes existed in multiple regional variations before the modern standardization of piping. Many also had corresponding Gaelic words known as puirt-á-beul or mouth music, which were often used to teach and transmit pipe music within in families and communities, as well as providing enjoyment in daily life. These books are an examination of the piping traditions in the last significant area of Highland settlement in North America –Nova Scotia. Volume One: History, Culture, and Images tells the story of the many families and individuals who maintained this important aspect of Nova Scotia Gaelic culture despite adversity and sometimes neglect. 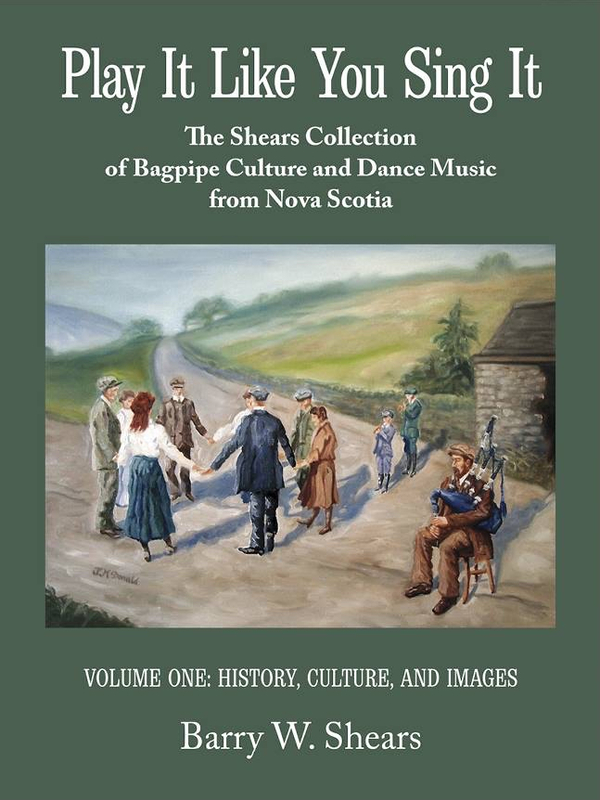 It examines the musical tradition through history, culture, and over 100 images of pipers and some of their instruments in 19th and 20th-century Nova Scotia. It also examines bagpipe-making in Scotland and Nova Scotia including images of both immigrant and locally made bagpipes. Shipping: Canada 17.00, USA 18.00 CDN.